The first behind-the-scenes account of life with the ravens at Britain’s most famous national monument. For centuries, the Tower of London has been home to a group of famous avian residents: the ravens. Each year they are seen by millions of visitors, and they have become as integral a part of the Tower as its ancient stones themselves. But their role is even more important than that – legend has it that if the ravens should ever leave, the Tower will crumble into dust, and great harm will befall the kingdom. One man is personally responsible for ensuring that such a disaster never comes to pass – the Ravenmaster. The current holder of the position is Yeoman Warder Christopher Skaife, and in this fascinating, entertaining and touching book he memorably describes the ravens’ formidable intelligence, their idiosyncrasies and their occasionally wicked sense of humour. Over the years in which he has cared for the physical and mental well-being of these remarkable birds, Christopher Skaife has come to know them like no one else. They are not the easiest of charges – as he reveals, they are much given to mischief, and their escapades have often led him into unlikely, and sometimes even undignified, situations. 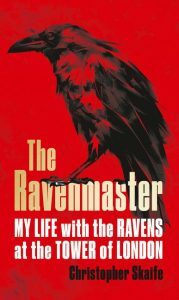 Now, in the first intimate behind-the-scenes account of life with the ravens of the Tower, the Ravenmaster himself shares the folklore, history and superstitions surrounding both the birds and their home. The result is a compelling, inspiring and irreverent story that will delight and surprise anyone with an interest in British history or animal behaviour. Why the cockerel features on many church spires. The one sacred bird that symbolises life and peace in most cultures. How to dispel bad luck if you see this black-and-white bird. The South-American ‘devil bird’ once thought to be a dragon. 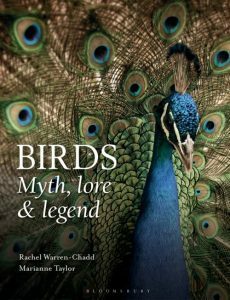 Birds: Lore, Myth and Legend draws on historical accounts and scientific literature to reveal how colourful tales or superstitions were shaped by human imagination from each bird’s behaviour or appearance. It offers an enchanting and different perspective on birds across the world. An absorbing study of how birds think, revealing how science is exploding the myth of our feathered friends being ‘bird brained’, and how recent discoveries may call for us to re-evaluate how we identify and classify intelligence in other animals. Bird Brain will start by looking at the structures and functions of the avian brain, and move on to examine different types of intelligence by profiling the extraordinary behaviours of a broad range of the species, studying the masterminds of the avian world, and examining what types of behaviour can be interpreted as ‘intelligence’ as we would recognize it. 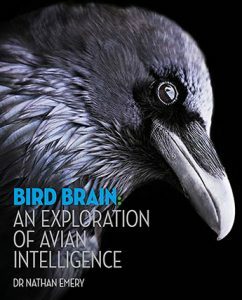 Bird Brain will not only look at the well-studied species such as New Caledonian crows and parrots, but also cast a broader eye over the behaviour of a wide range of species from around the world. Here in one volume is a synopsis of the diversity of all birds. 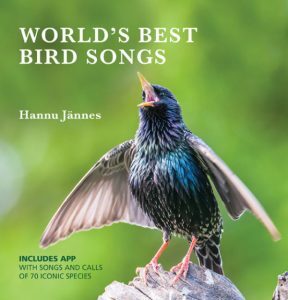 Published between the two volumes of the HBW and BirdLife International Illustrated Checklist of the Birds of the World, Bird Families of the World distills the voluminous detail of the 17-volume Handbook of Birds of the World into a single book. Based on the latest systematic research and summarizing what is known about the life history and biology of each group, this volume will be the best single-volume entry to avian diversity available. Whether you are a birder with an interest in global bird diversity, or a professional ornithologist wishing to update and fill-in your comprehensive knowledge of avian diversity, this volume will be a valuable addition to your library. An interest in birds is a life-enriching pursuit; the sheer diversity of birds means there are always stunning new species to see and novel facets of their lives to explore. Yet the grand diversity of birds is also a challenge, as it is easy to become disoriented amidst a group that contains more than 10,000 species that vary in nearly all of their most conspicuous attributes. Learning avian diversity requires a mental map to help us organize our experiences and observations. The scientific classification of birds provides exactly this framework, grouping together into Orders and Families birds that are most closely related to one another, and thereby linking species that share distinguishing traits. For those interested in learning about the tremendous diversity of birds world-wide, the best way to start is to learn the families, and Bird Families of the World is a guide and invitation to do so. 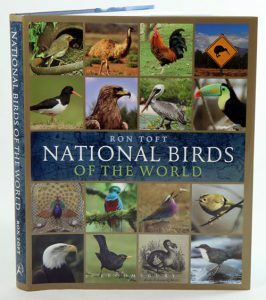 This book has been designed to serve both as a text for ornithology courses and as a resource for serious bird enthusiasts of all levels. Technical terminology is much reduced, and all scientific terms used are defined in a glossary. Introductory material describes the scope and concepts behind the classification used and gives suggestions about how best to use the book. 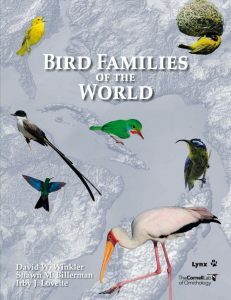 The bulk of Bird Families of the World is a family-by-family account of the birds of the world. Each family is represented by at least a two-page spread, including a distributional map with the breeding, non-breeding and year-round ranges of each family, a short text “teaser” to invite the reader to learn more, standardized descriptions of the appearance, relationships and similar species to each family’s members, their life history and conservation status. Each account includes a review of recent ideas about the relationships of the family to other families and relationships within it. The work is liberally illustrated by photographs from bird enthusiasts around the globe as well as paintings of one species from each of the genera in each family. It will be a beautiful and serviceable guide. Darryl Jones is fascinated by bird feeders. Not the containers supplying food to our winged friends, but the people who fill the containers, scatter the crumbs or seeds, or leave the picnic scraps behind for the birds. Here, Jones takes us on a wild flight through the history of bird feeding as he ponders this odd but seriously popular form of interaction between humans and wild animals. Jones digs at the deeper issues and questions of the practice of bird feeding, as he raises our awareness of the things we don’t yet know and why we really should. This beautifully written and engaging books reveals that what at first seems to be a niche topic — humans feeding wild birds — is in fact something a disproportionate number of us do. Half the citizens of Australia, the UK, and the US feed birds, whether its by planting trees that attract them, putting food out on apartment balconies, setting up birds baths and feeders, or by unwittingly leaving scraps behind in parks. The international bird seed industry is huge and most of the seed is gown in India or Africa. Another way of describing all this activity is as an unplanned ecological experiment on an unbelievably large scale. 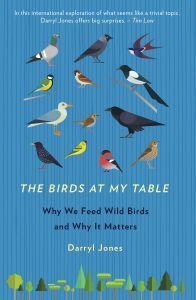 In The Birds at My Table, Jones draws on an impressive knowledge of the latest scientific findings as well as his own personal knowledge, to reflect and explain the modern practice of bird feeding. Now in a fresh new paperback format, this book showcases the British Museum’s vast collection of bird images from all over the world. Some are primarily decorative, whereas Thomas Bewick and the Japanese artist Kitagawa Utamaro chose to show birds in realistic detail, going about their daily lives. Other artists concentrate on scientific accuracy. The endless variety of birds, their freedom of sky, land and water, and especially their song have also inspired writers through the ages. Each striking image in this beautiful anthology is matched with a poem about the same species. Some were composed by writers including Shakespeare, Chaucer and Tennyson and others have been selected from less familiar or even anonymous voices around the world. Birds are one of the most popular and visible forms of all wildlife and are inextricably linked with the development of human cultures all around the world. Over the years some of the most eye-catching species of bird have been officially or unofficially adopted by countries as symbols of their national identity; there are now almost 100 national birds spanning every imaginable group from condors to parrots, trogons to frigatebirds. Both a comprehensive listing and guide book, this title provides a range of information from species data to how these birds have been used and abused through the ages. It recounts tales of how they came to be adopted and presents a wide range of official and cultural contexts where they appear from feathers in tribal costumes to stamps and currency. Janine Burke, art historian, author, amateur naturalist and nature lover, has spent many years observing birds. This book is the story of her passion, a personal, wide-ranging and intimate book that will appeal to all those who love nature, literature and art. She takes the view that nests are a form of art created by nature, exquisite, painstakingly constructed creations that are decorated, or woven through with feathers, or studded with objects of a particular colour or sheen. This book reveals both the art and mystery found in nature and celebrates them with lyricism, insight and great affection. Also available in hardcover [stock id 34060]. 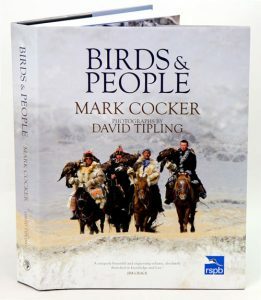 Artist/Author: Cocker, Mark and David Tipling. 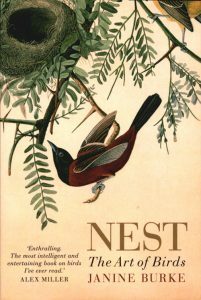 Vast in both scope and scale, this book explores and celebrates the relationship between birds and people. Throughout history their flight has inspired the human imagination so that birds are embedded in our religions, folklore, music and arts. 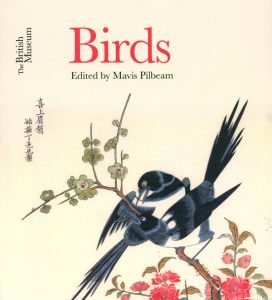 Part natural history and part cultural study, this book describes and maps the entire spectrum of our engagements with birds, drawing in themes of history, literature, art, cuisine, language, lore, politics and the environment. In the end, this is a book as much about us as it is about birds. 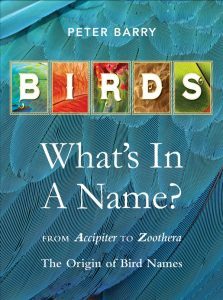 This accessible guide includes fun facts, such as where certain birds got their names, how birds eat, how they find a life partner, and how they build a home for the chicks. 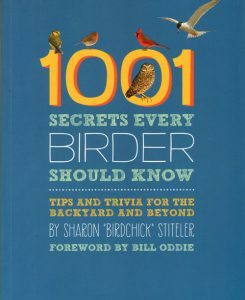 Other useful information includes identification tips, migration patterns, and where the best birding vacation spots are.